Want to write to your superhero? Be it a teacher, parent or friend, personalise with your chosen name. 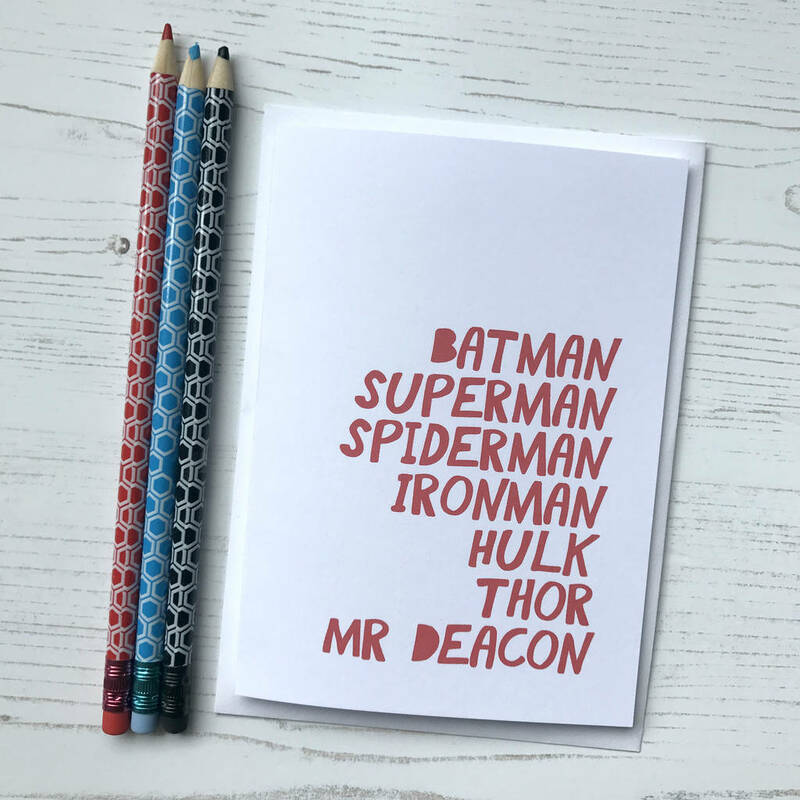 The example in the picture is personalised with 'Mr Deacon'. Send as a message of thanks or to celebrate their special day. Your chosen name will be shown at the bottom of the list of well known superheroes, in the font colour of your choice. This A6 sized card comes with a white C6 envelope and is left blank inside for your message. Printed to order in our Lancashire studio. All our greetings card come with FREE UK delivery! Made from 250gsm white card with matching white envelope.